Every human has own system and own habits. And hence the bowel habits also differ among individuals. It is normal to use the toilet once or twice in a day. But if anybody uses toilet less frequently means thrice in a week, then it may be the sign of constipation. 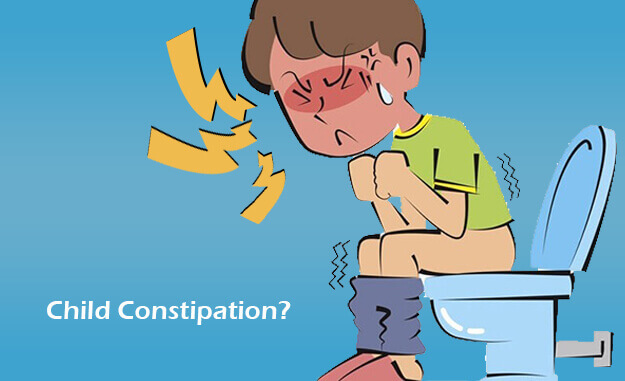 Constipation gives the other symptoms like loss of appetite, illness or feeling unhappy, abdominal cramps or distress. Dr. Kamthe Piles Clinic helps to understand constipation at the right time and will save your child from severe complications. In addition to this, Dr. Kunal Kamthe will suggest you some helpful ways to avoid the same condition to occur in the future. Why your child develops constipation? If your child is not taking the whole meal rich in fibres, then you should try some tricks to supply fibres. If your child is not eating fruits or veggies, then you can give fruit juices rich in fibre. Apart from diet some medication also bear some side effects. If you are giving medication to your child, then keep it in mind that they might affect your baby’s digestive system, and can cause constipation. The human body is consist of 70% water and other fluids. Water is the essential component of the body. It keeps the digestive system healthy by preventing the stool hardening. Like water, some other liquids like fruit juices also have a laxative effect on the body. The liquids-rich in fibre helps stool to move softly. Drinking water fewer fluids induce dehydration and then leads to constipation. There are some bacteria’s which cause flu or colds and some other illnesses as well. The bacterial infections efficiently attack your child's digestion. Due to which your kid lost the appetite, feels ill, or unhappy. Everybody requires physical movements for the well-being of heart, muscles and digestive system. But if a person is not performing moves, then he or she will not stay away from constipation. Encourage your child for walking daily which a great exercise. Sometimes emotional wellbeing is important from a health point of view. Constipation in children can be the effect of emotional circumstances. Some fears or anxiety of using toilet creates problems during a bowel movement. It makes constipation worse. Train your child to use the restroom when he/she feels the urge. Make your child relax and comfortable when it comes to using the toilet. If your child is facing constipation, then do not worry our experts are ready to help you. Our experts will provide you with some tips and advice.